If I have a mental health care professional background, which stream should I take? The 7-course Clinical Traumatologist is specifically designed for mental health care professionals with a minimum of a Master’s degree, current or in progress, related to a clinical or counseling field OR a minimum of 4 years of counseling experience along with regular supervision. If you do not fulfill these requirements but are interested in this field, we recommend taking the Community & Workplace Traumatologist designation to learn more about how you can help trauma survivors in a non-clinical way. In some circumstances, we will make an exception if the student is only taking the courses for non-clinical purposes. Yes, but you must have a minimum of 4 years of counseling experience along with ongoing supervision. Ongoing supervision, is a face to face supervision in your local community who will supervise your trauma work while you are training with us. This is especially important while you are learning to implement new therapeutic approaches using a Trauma Treatment approach. You will also need supervision for your final course submissions in the TI-206 Supervision course. The supervision must be a qualified and registered mental health clinician. Special Permission – Supervision: What role does the supervisor (registered clinician) have in my Clinical Traumatologist learning experience? -To meet with the student and review the one or two clinical cases for the final assessments of TI-206 Supervision in Clinical Traumatology (i.e. the Traumagram and the brief Traumatology report). -To meet with the student and discuss the Trauma Therapy approaches and interventions. -To ensure safety with the student’s clients/participants. What is the requirement of the supervisor? The supervising clinician must be registered with a college, institution or a licensing body. You will need to disclose his or her full name, registration number and licensing body on your e-learning student profile. We require that the student acquire a letter of confirmation from the supervising clinician, stating that the student will be supervised over the duration of the Trumatology Institute program. Add student’s full name, email address and contact information associated with the student’s account. The supervisor will need to provide his/her credentials, licensing number and licensing Institution. Please provide to us by email at learn@psychink.com. If I have a community care professional background (i.e. emergency responders, military official, paraprofessionals, police officers, lawyers, nurses, doctors…etc. ), or if I’m just interested in getting to know more about the field, which stream should I take? The 7-course Community & Workplace Traumatologist (http://psychink.com/ticlearn/sample-page/community-workplace-traumatologist/) stream would be perfect for you as it is designed with entry level courses. How long will I have to complete each course? Each course will be open for a maximum of 160 days. What if I can’t finish my course(s) on time due to my busy schedule? Can I ask for an extension? Yes, we offer free course extensions on unfinished courses within 12 months of the enrollment date. After the first 12 months, a small fee will apply for every extension per course ($22.50* CAD). Each extension is worth 160 days. How do I request for an extension on my course(s)? How long does it usually take to finish each course? Can I take the courses individually? Yes. Each course will produce its own Certificate of Completion upon successful completion of the course. The only exceptions to this rule are TI-106 and TI-206 as they have mini assignments that assess on previous knowledge. As such, you may not take these courses as standalone courses. You can find the downloadable course outline for the Clinical Traumatologist designation. Are the courses recognized for CEUs? Yes. Below is the list of organizations that recognize our courses for CEUs. If you do not find the organization of your choice, you may also print our course outline and submit it for review at your organization. To our knowledge, our courses have never been rejected from any organization, simply because they are of high caliber. I have taken the Community & Workplace Traumatologist designation before. Now I would like to take the Clinical Traumatologist designation. However, I notice that there is a course (TI-1001) that overlaps. Will I have to take the course again? The answer for this question is a “No.” However, it is recommended that you take it as a refresher if your previous training was in the years past. FAQ: I am a trauma survivor. I am a trauma survivor in crisis. Please help! If this is an emergency, please call 9-11 or go to your nearest local hospital to get the help you need. I am a trauma survivor. Do you have any resources that might help? The Trauma Recovery Program is specifically designed to aid trauma survivors in their healing process. For more info, please visit: www.whatisptsd.com. Program is covered under most auto insurances. I am a trauma survivor living in Toronto and I need help. Do you offer trauma therapy services? Yes, we have a private practice in Toronto, specialized in trauma, PTSD, and couples counseling. As we are a private practice, there is a fee involved in our services. If interested, please call us at 416-733-3838 for a phone consultation. Or complete this confidential contact form HERE. If you are looking for therapy that is covered under OHIP, you may want to check out Women’s College Hospital’s Trauma Therapy Program. I am a trauma survivor living outside of Toronto and I need help. What resources can you point me to? We run a database of trauma specialists on this website: www.traumaline1.com. If you cannot find a trauma specialist in your area, we suggest that you call the licensing board in your area for a referral. Here is the link to the contact information of all of the licensing boards in North America. Do you offer discounts if I enroll in the courses all at once? The Clinical Traumatologist bundle (when you take all seven courses at once) will save you almost 16% off of our regular price. You save over $145! The Community and Workplace Traumatologist bundle will save you 20% off of our regular price. You save over $130! Do you offer bundle pricing for organizations? Yes. Please contact us for a consultation. Do you offer an alternative payment plan? Do you offer live, on-site training for organizations? Yes. In addition to Dr. Anna B Baranowsky, we have highly experienced speakers. See their profiles HERE. I am looking for a speaker for my mental health conference. Who should I contact? How much do you charge for a speaker for my mental health conference or organization? For current rates, please contact us with details of your training needs. General costs involve: Cost of speaker; Travel (plane, train, etc. ); meals; accommodation; local travel if needed; taxi if needed. Potential costs: Student Manuals (dependent on the type of workshop) and Certificates of Completion (optional). What topics can you present at my mental health conference or organization? All of the Clinical Traumatologist courses are available for speaking appearances, as well as TI-107 Compassion Fatigue Resiliency & Recovery – Educator Model and our latest technique, Thematic Map & Release . We also design special courses by request. Contact us for details. I am a Canadian nonprofit/charitable organization. Are government grants available for training in this respect? They are only refundable within the first week. I just bought a course. Where is the receipt? It is in your email inbox. Please save this receipt for your purposes. We will not be producing another one unless under extenuating circumstances. If you have not received your receipt, please let us know by contacting us HERE. Can I get an invoice for the course that I ordered so that my organization can pay for it directly? Certainly! Simply click on “Pay by Invoice” when you go to check out. An invoice will automatically be generated and sent to your email address which can then be forwarded to your employer. Your employer will then need to mail us a cheque via mail with your name and the course(s) that you will be taking with us. As soon as we receive the cheque, we will put the courses into your student account. We recommend that you do NOT choose this option if you are purchasing the courses outside of Canada & USA. No, you do NOT need a Paypal account to pay by credit card via Paypal. a) We will not have direct access to your credit card details. b) If there are any purchasing disputes, Paypal will protect the consumer in the legal sense to ensure that you are fully refunded. Otherwise, our reputation will be damaged. There is NO extra charge to using Paypal. We highly recommend to choose this option if you are able to pay by credit card, as it will be faster and more secure. How do I learn on the e-learning site? 1. Log into your student account. Watch this video to see how to log in. 2. Download the student manual. 3. Open up the course module. 4. Follow along the course module with your student manual. 5. Do the required assignments/assessments. Quizzes in the course module are for your learning purposes only and are not recorded officially. 6. Complete the final quiz with a grade above 80%. You will have six attempts to complete the final quiz. 7. Apply for the Certificate of Completion. Are student discussions available on the e-learning site? No, we do not have any student discussions available on the site. Our courses are based on self-directed e-learning. However, there is tech and learning support available. 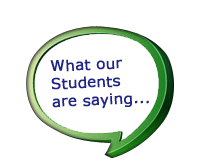 You may ask us questions via the Messages section of Moodle or our contact form We try our best to answer the questions as promptly as possible. I’ve handed in my TI-206 assignments already. Why have they not come back yet? We apologize for the queue. 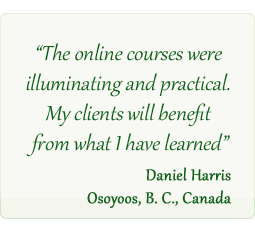 At any given time of the year, we have people all over the world taking our courses. Dr. Anna Baranowsky and our marking team grade each paper individually and provide high quality feedback. We do, however, try our best to get the papers to you as promptly as possible. Am I allowed to download the student manual and use it for my personal and business purposes? Yes, you’re welcome to reference our course materials, as long as you cite Dr. Anna Baranowsky and any co-authors of the work. We would also love to hear from you when you do.